Dimensions: Paper: Approx. 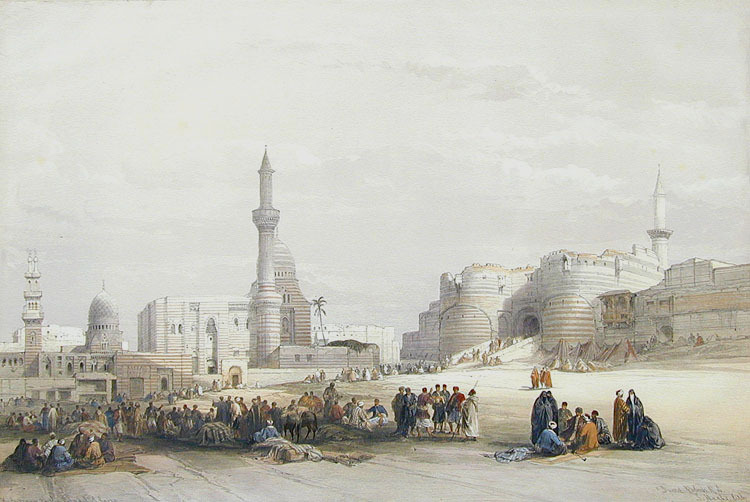 16" x 24", Image: 12 3/4" x 19 1/8"
Comments: A fine full folio image from the Cairo series, which are among the most highly colored lithographs as printed. In this scene the caravan is forming for the annual pilgrimage to Mecca. Price: $1,400 Uncolored. $1,550 Colored.